GWCT News & Advisory: Why have three hen harriers disappeared? Three male hen harriers have vanished in Lancashire. Natural England and the RSPB have reported that three male hen harriers have gone missing from Bowland in Lancashire. This represents a major setback for this year’s breeding season in England, where only four breeding attempts were initiated in total in 2014. 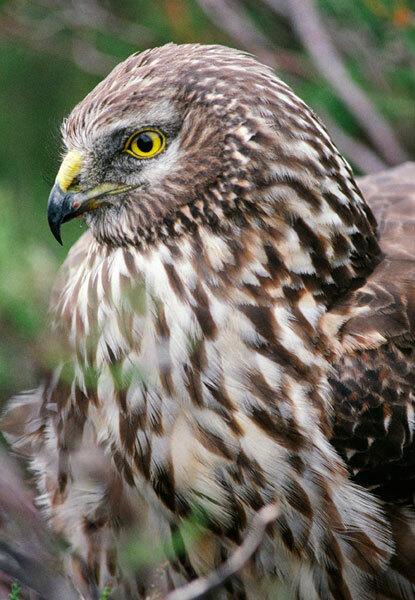 Female hen harriers have an average survival rate of 78% a year. The survival rate of male harriers is likely to be very similar, so the probability of three of them disappearing in a short period of time, in one place, by chance, is small. When three male hen harriers were reported to have disappeared from active nests in the Forest of Bowland, alarm bells started ringing. It is understood that the missing birds were not fitted with satellite tracking devices, so ground searches within the foraging distance of each nest may take time. Without post-mortem results or field signs, exactly what happened will remain speculation. A juvenile male appeared at one nest almost immediately and was accepted by the female. The other two females have so far remained single, and have abandoned their current nesting attempt. Locally, with the full involvement of all those on the ground, the police need to establish what has happened to these missing birds. Three birds vanishing has highlighted the importance of implementing a full recovery plan for hen harriers in England. This is extremely sad. Although we don't yet know the circumstances, you are correct to highlight that three adults vanishing at the same time from such a small area is strange. If this is foul play, it's extremely worrying, because elements of the hen harrier plan depend critically upon the good will of all stakeholders. Although he doesn't represent the game industry, I also feel that the outburst by Robin Page in the Daily Mail does little to build confidence. Let's hope this is the last instance of any of these fantastic birds vanishing in suspicious circumstances, so we can move forward. "Three birds vanishing has highlighted the importance of implementing a full recovery plan for hen harriers in England." This last sentence is telling as it implies that collectively or individually, the shooting community has the power to stop persecution ie if we don't have the plan, persecution will continue. If this is a persecution incident, which seems likely, either the shooting community and its representatives are not doing enough to stop persecution at this time or their representatives have no power to stop the persecution even if the plan is fully implemented. Of course, the simple solution is for everyone to obey the law and for landowners to make sure all their employees do. That would be a much better starting position for implementation of any plan including a brood management trial.